Eliminate root circling. The 3-Dimensional cone shape of the Air-Pot wall and continuous air-pruning eliminates root circling. 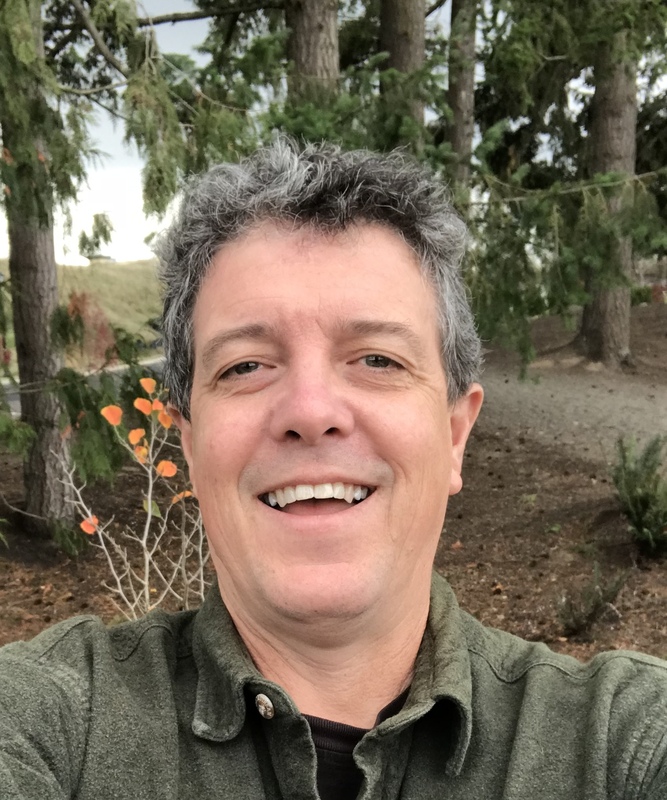 Reduce growing time on the nursery. The rapid build-up of new white roots fills the rootball, resulting in plants being available for sale much more quickly. Double - at least - the shelf-life of stock. As long as water and nutrients are applied correctly, the root structure in the Air-Pot just keeps getting better. This is a crucial benefit to nurseries, garden centers and landscapers as stock can be held for a full extra season if unsold, or planting schedules are delayed. Ensure superior performance in extremes of weather. With continuous air pruning, new root is always being generated, particularly from the base of the stem. This makes the plant significantly less vulnerable to extremes of cold and heat which so badly affect the roots at the outer edge of a traditional container. Reduce losses dramatically. Immediate re-establishment after transplant means that there are virtually no losses, allowing the nursery stock to be guaranteed. Simplify production. 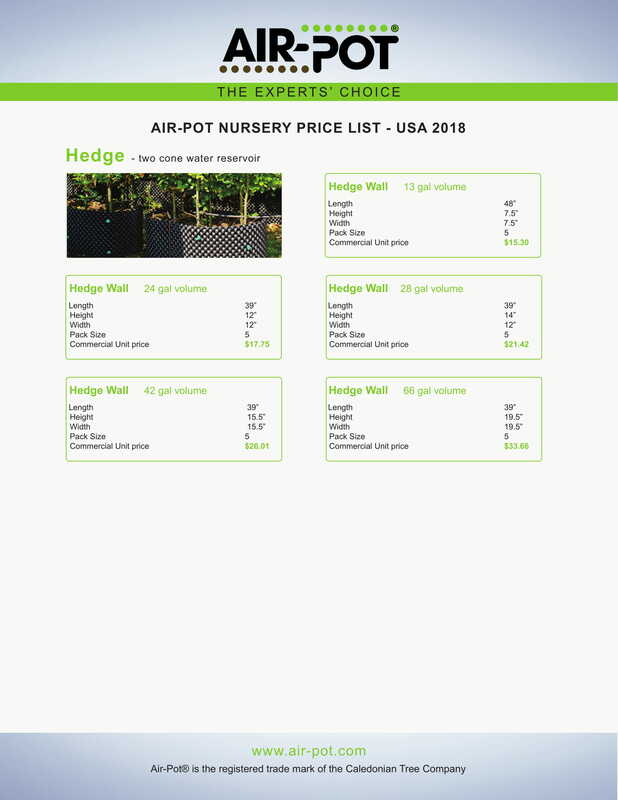 Small stock can be planted direct into 7/15/20 gallon containers, making several pottings unnecessary. In trials at the Royal Botanic Gardens Kew it was found that the larger the Air-Pot container the faster the growth. The Air-Pot System is made of recycled HDPE. 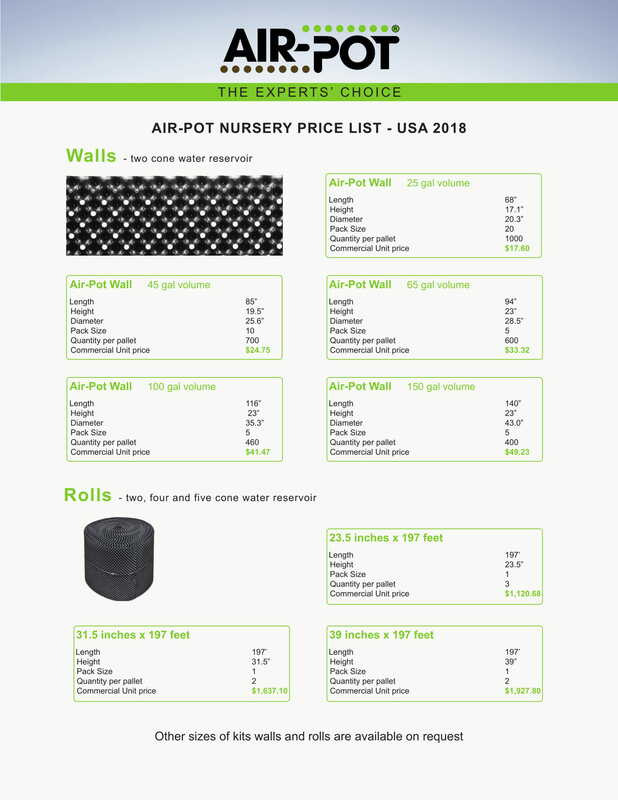 For more information visit the Air-Pot website. 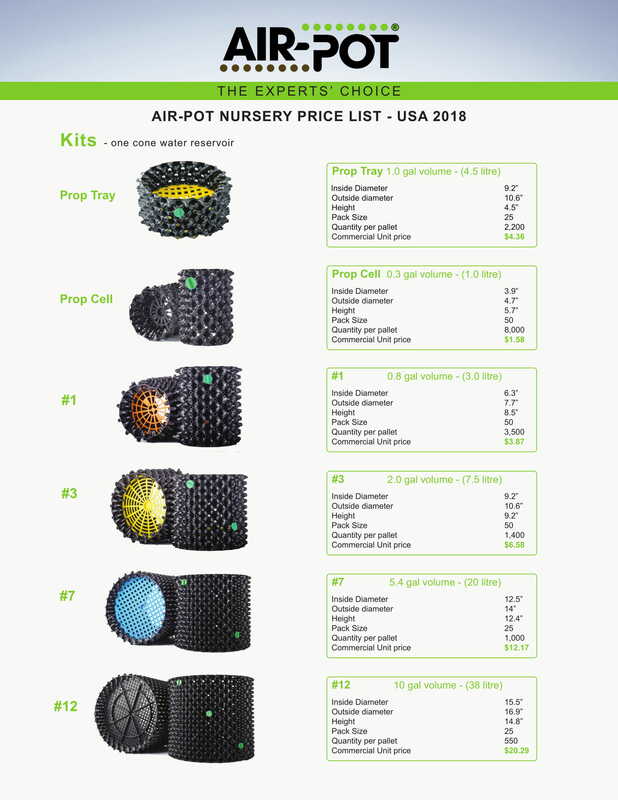 Air-Pot Growing Systems do require some assembly. Click for a short demonstration video.